School Direct is an exciting new training route for top graduates interested in teaching at Primary, Secondary or Early Years level. We are an alliance of early years, primary, secondary schools in the Wirral area who have an excellent reputation for working collaboratively to deliver high quality School Direct training. The group of schools involved is diverse, and led by Weatherhead High School, an outstanding school and National Teaching School. You will spend the vast majority of your one-year full time training programme in the classroom, getting to heart of what outstanding teaching looks like. 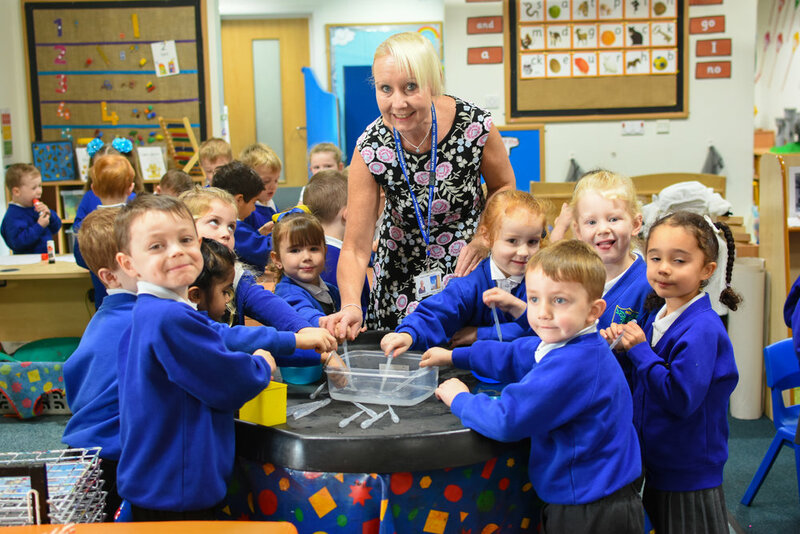 Learning from outstanding teachers, you will enjoy a rigorous training programme (in areas such as behaviour management and meeting the needs of student learning) and excellent 1-1 subject and professional coaching and mentoring. Our alliance draws on its vast experience to provide professional learning training days where trainees across the alliance have a chance to learn together as a larger group. You will have a home-school where you will begin your training, spending time in a contrasting school-based experience with a school in our alliance. All schools in the alliance are experienced in providing ITT and excel at developing and training their staff. We recruit and select our own trainees and, whilst we cannot guarantee employment, we aim to employ the majority of our trainees within our alliance of schools, offering excellent opportunities for career development. Perhaps unique to our alliance is our Career Teaching and Leadership Development (CTLD) programme which accelerates the most talented graduates into school leadership positions by providing a framework of professional development and support that goes far beyond simply training you to teach. Details of our CTLD programme is shown on the back page of this document. Each school is happy to offer a tour and the opportunity to speak to a current associate teacher. We also offer volunteer training so you can ensure this is the right career for you (subject to DBS). Please contactpark.wirral.sch.uk who can then arrange a visit to the school of your choice. Who is in the Wallasey Alliance?